Well, it was my birthday on February 1st. Thanks for remembering. :) And what did I happen to find in my mailbox a few days later? Why yes, it was a birthday card. 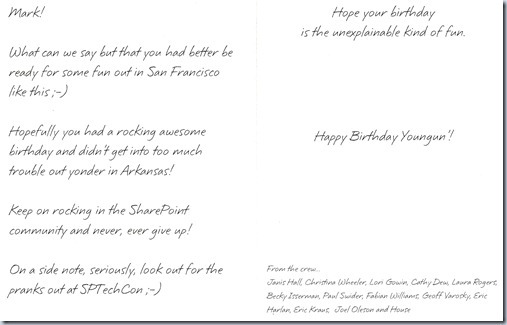 It was a great card from some of my SharePoint friends at the nudging of my good buddy Dan Usher (@usher) (Who also happens to have a birthday on Feb. 1st). 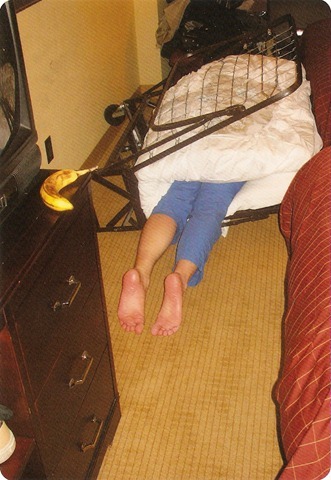 Below is a scanned image of the card. I REALY hope this is not a premonition of the events to occur next week at SPTechCon in San Francisco. 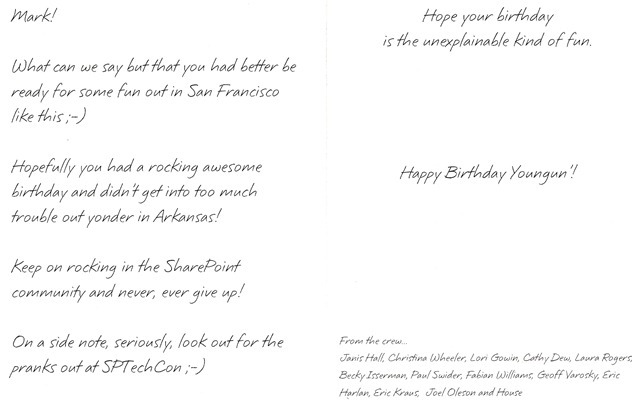 Thanks again to @janishall, @cwheeler76, @mosslover, @catpaint1, @lorigowin, @wonderlaura, @fabianwilliams, @pswider, @gvaro, @ericharlan, @erickraus, @joeloleson, @usher, and all my other SharePoint friends who took the time to wish me a happy birthday. You guys truly rock. Appreciate your continued sharing with the community! Happy Birthday!